The veteran humorist and reporter for the New Yorker presents a collection of pieces that record his pursuits of wild hogs, hermit crabs, Asian carp, a Styrofoam substitute, and more. There’s a wealth of information about everything from meteorites to shrapnel in this book, but you read an essayist like Frazier primarily for the encounter between his sensibility and the world. Observation backed up by research and marinated in rumination and wordcraft produces lines freighted with insight ... Frazier doesn’t insist on a perfect roundedness of form in his essays. Rather than arranging every last element for maximum thematic coherence and effect, he’ll leave in a moment, a scene, seemingly for the hell of it...Frazier’s tendency to leave things a little baggy, in combination with his commitment to understatement, sometimes crowds out the point of the shorter pieces, which can seem willfully slight. But on the whole it serves to reinforce his great ­meta-theme. 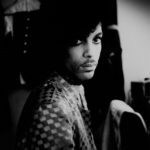 He’s not hauling out some bag of essayistic tricks to force the world to seem interesting, beautiful or weird. It just is. 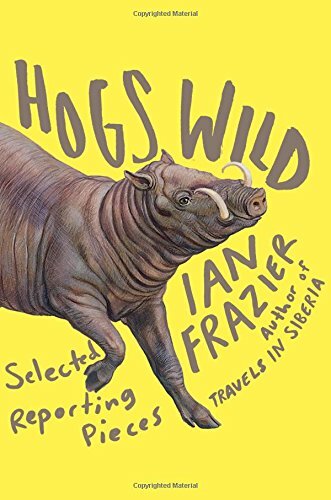 Hogs Wild, a new collection of Mr. Frazier’s reported pieces, makes you want to drop everything and start reading ... Frazier’s visits to hog-heavy places in the South to trek deep into the woods with hog experts to see wild hogs are Jack-London exciting. Frazier is admirably non-judgmental. He provides vivid, startlingly fresh, often humorous, descriptions – along with historical backstory. But he mostly lets readers form their own opinions ... Frazier’s unquenchable curiosity is remarkable. He will return again and again to the venue of his topic till he’s captured its essence ... [a] brilliant collection. In Hogs Wild Frazier is in chameleon mode. He’s a science writer. No, wait, he’s a New York City historian — or a muckraker, or a cultural critic. His essays range from whimsical to wisecracking to withering. The shortest of them — probably 'Talk of the Town' items for The New Yorker — sometimes feel disposable. But the longer ones, where he really digs in, feel indispensable ... Read Hogs Wild, and you won’t just be entertained. You’ll feel smarter. What did you think of Hogs Wild: Selected Reporting Pieces?